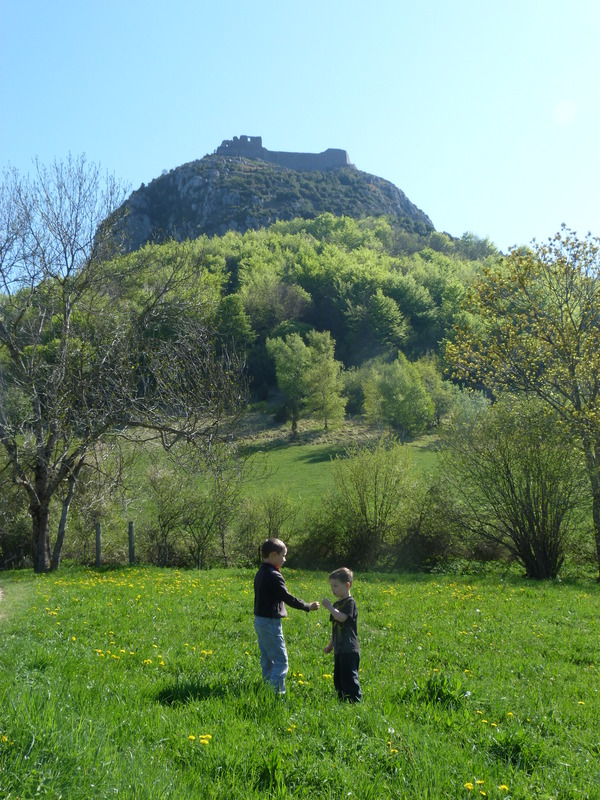 The Cathar castle of Montsegur sits on top of a limestone peak (or pog in Occitan) at around 3000 feet. 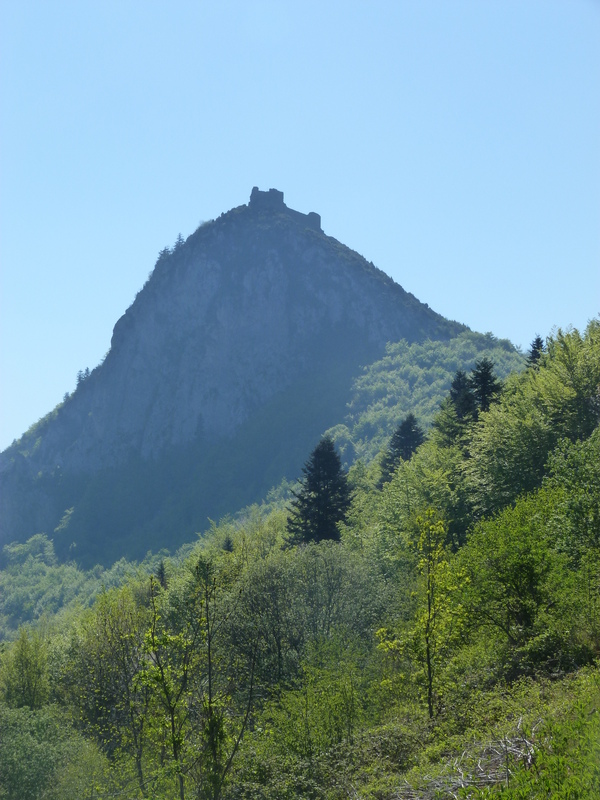 Here several hundred Cathars held out for 10 months against the besieging French army of over 6,000 men in 1243-44. A view of Montsegur from Tower Rock in 2011. The French army took this small peak to the east of the pog and erected a catapult there to bombard the castle. My boys in the Meadow of the Burned in 2011. When the Cathars surrendered, over 200 chose to be burned alive in a bonfire here rather than renounce their religion. 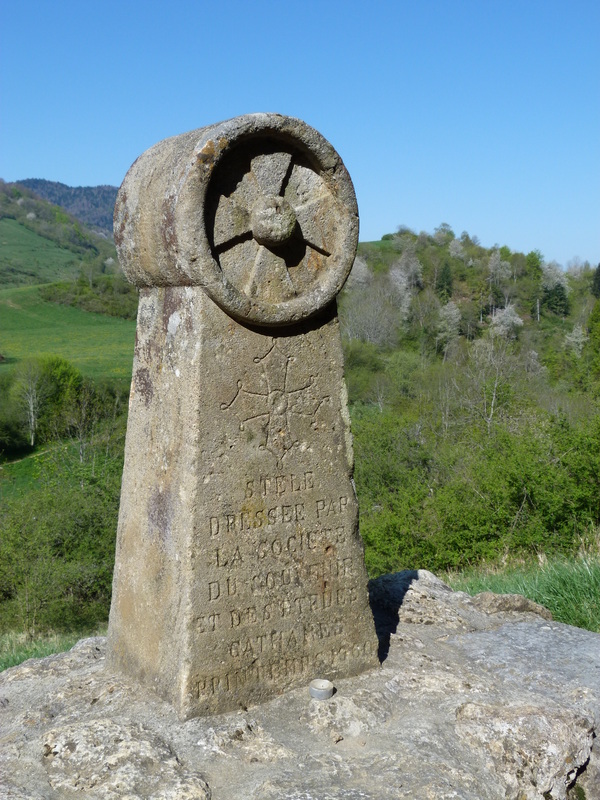 A monument to the Cathars who died in the Meadow of the Burned. 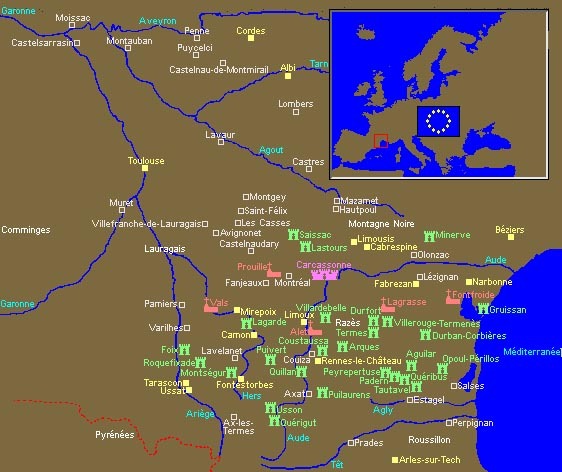 The cross is the Occitanian or Cathar cross. The snow capped peaks of the Pyrenees can be seen from the castle. 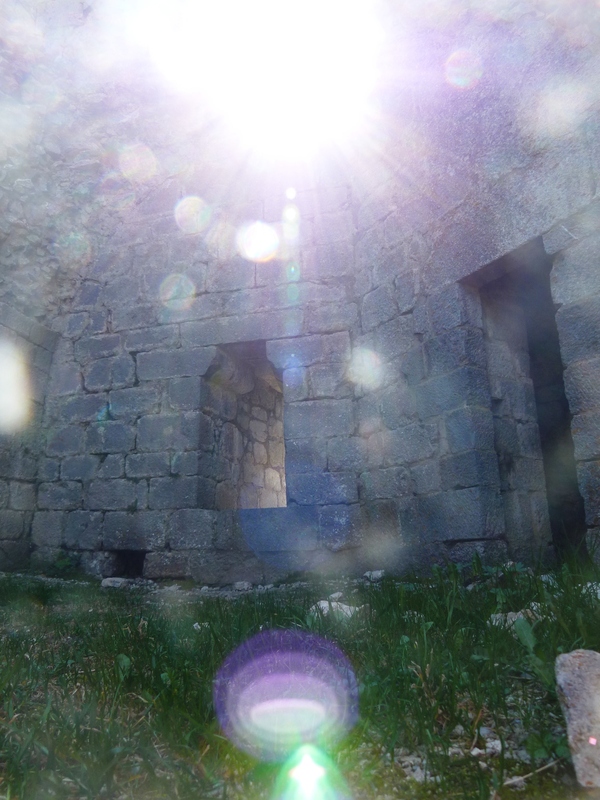 It is claimed that the rising sun lines up with this window in the Keep on midsummer day. supreme reward of earthly desire. never, alas, to find it. And yet there are many who strive for it. Or is it still unknown, Lord? Wolfram von Eschenbach (c.1210). Parsifal. 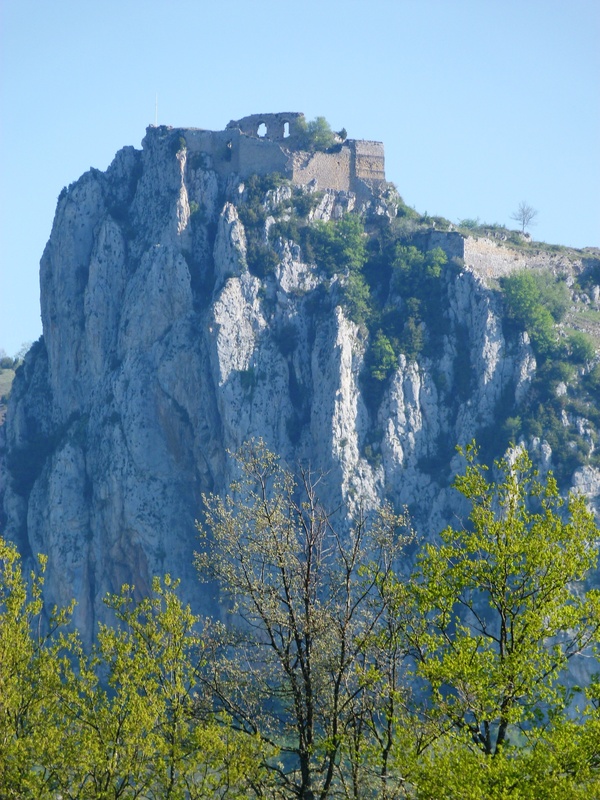 Not far from Montsegur is the fortress of Roquefixade. Halfway along the road between Foix and Lavelanet, it stands out against the sky on the highest point of a rugged cliff. 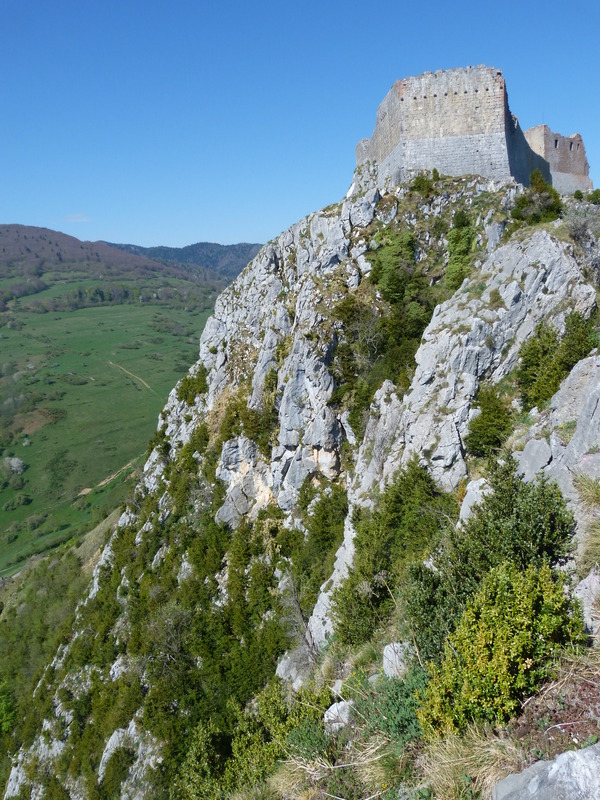 Montsegur and Roquefixade are about 30 km east of Foix in a fairly remote valley. They are shown on the map below in light green, towards the bottom left. 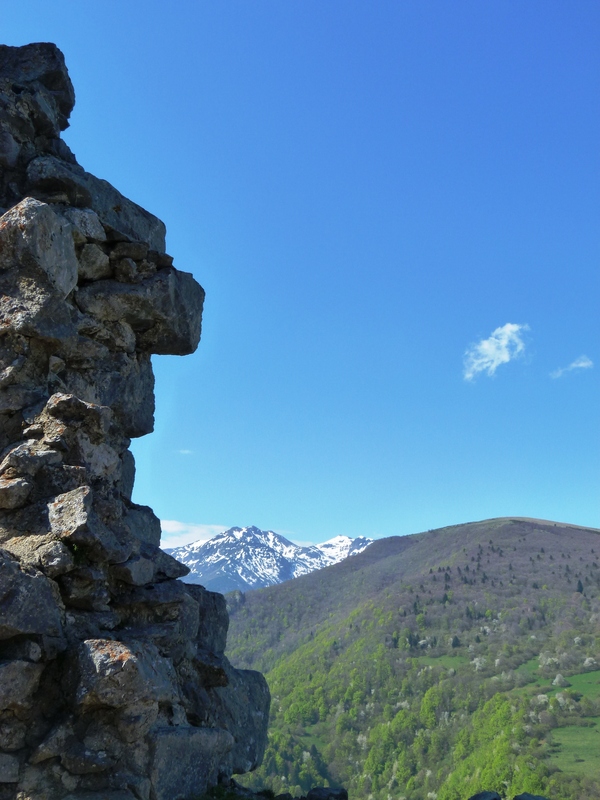 This entry was posted in Mountains, Photography, Travel and tagged castle, Cathar, France, grail, Languedoc, Montsegur, Roquefixade, sangreal by colinmathers. Bookmark the permalink.